Kind readers, if you know nothing of Book Of Harmony, start here. 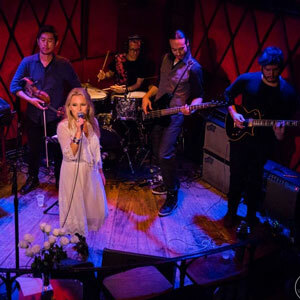 Book Of Harmony is a 7-piece NYC based Progressive Rock band who recently released their 14 track self-titled album. As is usually obligatory with this genre, the band displays outstanding technical musicianship, a flawless grasp of form, a captivating depth of lyricism, great vocals and complex harmonies. Members Leah Martin (Vocals), Jon Perkins (Guitars), Phil Duke (Bass), Anupam Shobhakar (Guitars and Composer), Michael Sutton (Drums), Takahiro Izumikawa (Keyboards) and Kensuke Shoji (Violin), also add warm ambience, an almost “live” feel, and lots of little progressive motifs…however they are bigger than that. Book Of Harmony never slouches or struts unnecessarily, which clearly separates them from the average genre band. BOH is full of great musicians, but they are confident enough in their musicianship to know that a drawn-out guitar, keyboard or violin solo isn’t the only solution to every musical progression. 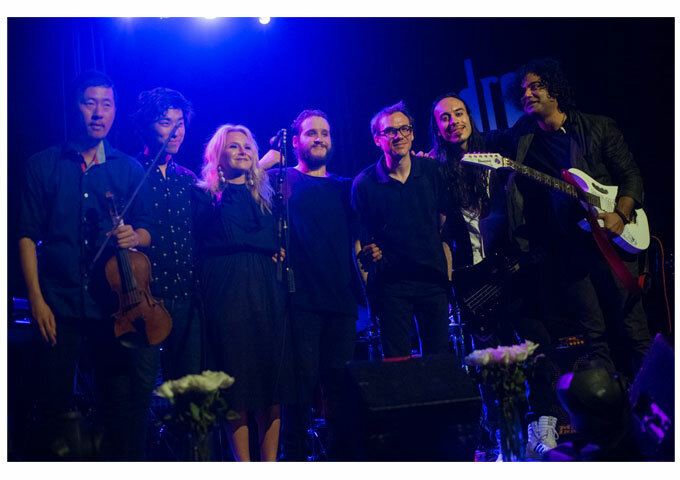 Their liberal use of a great many of the melodic and harmonic elements possible in the band’s configuration gives BOH the kind of texture and interest few other progressive albums offer. Book Of Harmony’s songs seem to respect melody unusually highly, and the format of this album gives them the opportunity to use some of their gorgeous vocal melodies as ear catching motifs. Sometimes hearing these vocal themes return, transformed and evolved, in different contexts, will send shivers down your spine. 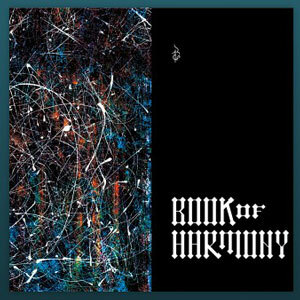 The Book Of Harmony album is a spectacular achievement in an era less inclined towards organically generated music, let alone complex, rock orientated arrangements, tinged with jazz, folk and classical flavors. The world would be a sorry place without bands like BOH. In a world where we are battered with pointless boring commercial garbage this album is a breath of fresh air. Don’t waste your time making comparisons to older progressive rock bands like King Crimson, Genesis, Rush, Yes or the like, Book Of Harmony have a very different sound overall. It is inspiring to hear music of this caliber being written and performed today. From the introductory vocal harmonies of “Echoes of Freedom”, this is a great collection of music; well written, well played, and beautifully recorded. It is almost a shame to pigeon hole it as ‘progressive rock’, because it has such variety to it. These songs are written with care and intelligence and covers subjects from the personal, to the universal. And as it does so, it always remains melodic, rhythmic and emotional. Leah Martin’s voice has great power as well as tenderness that she makes each song work better than you thought possible given the subject matter. The band’s music however has the ability to tell a story and this is true whether or not there are lyrics being sung over the music; the dynamics and ideas at play within the instrumental passages are such that the stories are able to continue very eloquently. This is especially true on “The Human Side” where vocals and music are juxtaposed in two distinctly contrasting, yet parallel narratives feeding off each other. The exact opposite is true on the opening moments of “Calling Angels”, and indeed the track as a whole, as music and voice creates a subtle, ambient soundscape, very introspective and thought-provoking at the same time. The track also features some tasteful and soul-stirring bass work by Phil Duke. “Ode To the Beast”, on the other shows a completely different side of Book Of Harmony as Takahiro Izumikawa keyboards delight us in a solo piece. “The Changing Seasons” becomes a rousing and dynamic piece of rock music, dominated by overdriven guitars, showcasing all of the band’s qualities. The aforementioned, are just 4 impressive tracks, with 10 more to listen to, and Book Of Harmony have already taken us through a universe of sounds and rhythms. There are also times where the musicians open up their wings and take flight, and when they do so, it is quite a heady experience and it is easy to get caught up in the music that swells all around you. My favorites here include “Wishing Well” which showcases excellent guitar work, and “Breathe Into Me” which features some dynamic string arrangements. You will seldom find anything so musical, so complete and thoughtful in every sense, as this Book Of Harmony album. Athmossmusic: “Music Box – The Tragic Story Of Arabella Jones” is dynamic and organic!